I was in town only briefly and our window of opportunity was closing fast. We arranged to meet in a hotel. It was evening. A place I could never afford. She called, seemed nervous and said don’t be late. If all of this sounds like the start of a furtive affair, then let it be known that we never left the lobby. Moreover, we were never alone. There was a heavy security presence, very heavy, far heavier than necessary for the Tribeca Grand. Not only were there half a dozen bulky security guards, but they had also set up a system of checkpoints — metal detectors, bag searches, ID checks, attitude — that was weirdly familiar yet totally incongruous. I was drilled with restrictions. No photographs, no notes, and no recordings of any kind. It was as if this date I’d made with the Tel Aviv–based artists’ group Public Movement had turned into a parody of back-channel diplomacy. And that, of course, was the game being played here. Public Movement’s Final Action for New York City — the last in a series of performances organized as part of the New Museum Triennial this past spring — was an off-site, one-on-one debriefing session on the inevitably sensitive subject of “Birthright Palestine.” Throughout March and April, the group had staged five public “salons” to debate, among other things, this wisdom of creating a Palestinian answer to Birthright Israel, a program that has to date sent some 300,000 Jewish teenagers on trips to Israel for free. The salons had adhered to specific forms — congressional session, summit meeting, diplomatic consultation, secret gathering, demonstration — and the debriefing session was just as contrived. I was guided to a table and made to sit (and keep my mouth shut) beside Dana Yahalomi, Public Movement’s cofounder and current director. Yahalomi does very serious very well. She didn’t bat an eyelid when I veered off script and cried, “Oh! You’re the actress in Yael Bartana’s film,” in reference to Bartana’s trilogy And Europe Will Be Stunned. Instead Yahalomi took out a pen and a piece of paper and began sketching out the web of political complications that were both caused and made visible by the “Birthright Palestine” project, explaining how the process implicated not only the usual suspects — lobbies, political action committees, organized boycotts — but also arts-funding bodies, museum patrons and trustees, artists, activists, and the inner workings of the triennial itself. It was a beautiful drawing, filled with innuendos and ultimatums. I remember almost none of the details except that I hoped I would manage to keep it. When Yahalomi was finished, she tucked the drawing into a folder and sent me away. Much has been made about how international the second edition of the triennial was, and how few of the artists were born in the United States or based in New York. Much has also been made about how good or how bad the show was at filling the New Museum’s almost comically unforgiving space, an interior as cruel to working curators as the exterior is pleasing to leisurely viewers. All of this flirts with but ultimately falls beside the point — or a possible point — which is that the impact of curator Eungie Joo’s exhibition was felt most forcefully outside of the museum, in the spaces of encounter like those orchestrated by Public Movement, or in the concerns shared by artists whose works may travel but whose lives are so clearly elsewhere. Perhaps the exhibition as installed was really only one small culminating part of the project. Perhaps ‘The Ungovernables,’ Joo’s resonant exhibition title, was an exercise in embodying, consolidating, and extending the network she’s been building as the person responsible for directing “Museum as Hub,” an initiative that links the New Museum to six partner institutions in Cairo, Mexico City, Eindhoven, and Seoul. Consider, for example, the performances (Wu Tsang), works installed off-site (Adrián Villar Rojas), pedagogical workshops (Nicolás Paris) and the series of “propositions” for debating ideas half-formed (Slavs and Tatars on the Shiite propensity for protest; David McKenzie on the body between technology and religion); or the artists’ residencies that generated their own talks, screenings and debates as well as the production of new works; or the twin to the catalog, itself notable for the literary bent of its contributions, a directory of more than four hundred independent art spaces in close to one hundred countries around the world, which is rife with interviews and essays on the building of flexible infrastructures and nimble institutions. Sure, one would be hard-pressed to find an institutional exhibition without these add-ons, but for 'The Ungovernables,’ organizers sampled from an already fairly coherent system. Seen in this light, the exhibition in the museum was less a survey of “young art now” and more an occasion to materialize the “Museum as Hub” network — and to see the art that accounts for the project’s existence. 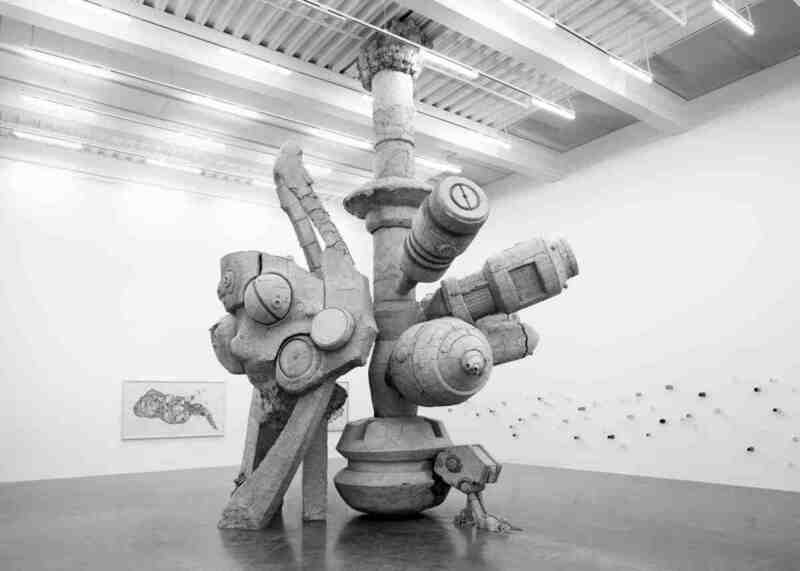 Not for nothing did 'The Ungovernables’ look somehow more familiar to foreigners than it did to New Yorkers, who, as a number of curators and critics remarked, preferred the comforts of the concurrent Whitney Biennial (though to compare them at all seemed a little unfair). Joo’s triennial wasn’t just making an argument about art that had emanated from situations of economic uncertainty and developmental upheaval — where democratic transitions had more often than not been stalled, thwarted, or hopelessly corrupted. 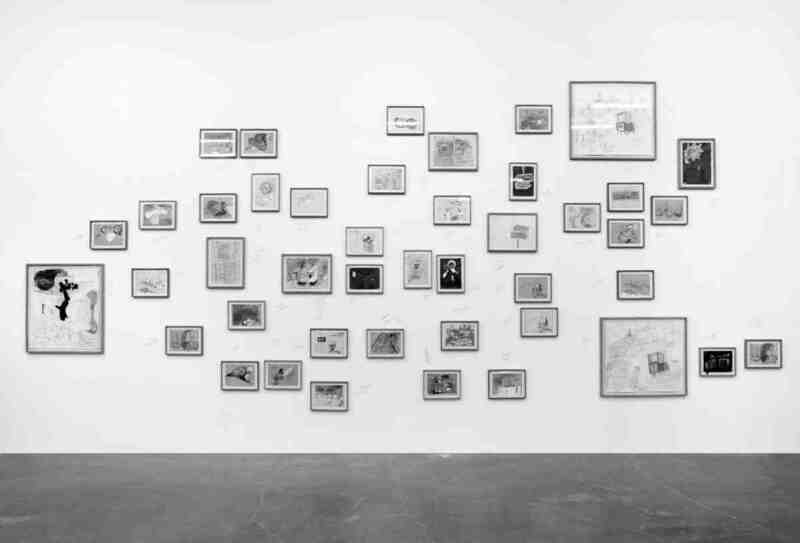 It also shared years of accumulated research into artistic strategies and institutional alternatives arising from such contexts, which may have accounted for the sensation that politics, as such, was forever drifting in and out of focus throughout the exhibition, retreating and advancing into different spaces of metaphor, memory, history, domesticity, collectivity, material implosion, and dainty museological display. That said, as an exhibition maker, Joo did pull off a number of inspired pairings. Rayyane Tabet’s 1989 (2012), an installation of an elevated doorframe and billowing fabric to materialize a dream about a child waking to find that his bedroom has disappeared (either the work of a war or an overactive imagination), was placed in perfect dialogue with Cinthia Marcelle’s video O Século (The Century), from 2011, of construction materials, hard hats, vegetable crates, trash bins, and tires flying from one side of the screen to the other. It was as if Marcelle’s video had sucked all the contents from Tabet’s room and crashed them into a wall somewhere just out of sight. The politics of Amalia Pica’s evocations of Argentinean autocracy in the 1970s may have been a little thin, but the delicacy of her water glasses to the wall in Eavesdropping (2011) felt totally right in a room with Adrián Villar Rojas’ monumental cracked clay sculpture, A Person Loved Me (2012). In a very different way, Pilvi Takala’s riveting installation of The Trainee (2008), a series of videos documenting her month as an employee of the accounting firm Deloitte — during which time she refused to work, sat still, stared into space, and spent an entire day riding the elevator up and down the building — gains depth of meaning from its proximity to CAMP’s mesmerizing body of work on the Radia Tapes. Based on the leakage of some three hundred days of tapped and transcribed telephone calls between the Indian lobbyist Niira Radia and a host of politicians, journalists and other power brokers, CAMP’s Act I: Swearing in Whispers (2011–2012) and Act II: Hum Logos (2012) are pure melodrama set amid an epic sweep of corruption and political consequence. Taken together, the two works throw typical understandings of time, talk, labor, money, being productive, and doing harm into complete disarray. Nonetheless, and despite a trim and judicious lineup of just thirty-four artists (whether alone or in groups), the show was still uncomfortably tight, crammed as it was into corners and crevices. Conceptually, this worked — to be ungovernable is nothing if not ill fitting and wrongly constrained in a given context. But with the considerable exception of Hassan Khan’s video installation Jewel — which, with its driving soundtrack, mesmerizing choreography and riddle refusing to be solved, was by far the most magnetic piece in the exhibition — the sense that an unruly show had been wrestled into a space too polite to accommodate its ambitions did, on occasion, mask the fact that Joo really was showing some of the artists at their best. Doa Aly has made a number of very interesting videos, but her paintings and drawings of pelvic bones are brilliant. It was a shame to see them so incidentally hung on the ground floor as part of Ala Younis’ temporary collective exploring militarism and childhood memory. Iman Issa’s terrific conclusion of her Material series, quietly reflective as it was, was a little overwhelmed by Khan’s work. Mounira al-Solh’s wall of tremulous watercolors made by her alter ego Bassam Ramlawi looked, for once, like a full-blooded project. But the display lacked the intimacy to encourage viewers to explore the artist’s curious relationship to her double. Setting aside the politics and schedule of the triennial, was a conventional exhibition in a New York museum the best way to show all this work? Certainly it endeared audiences very far away to the New Museum, at a time when many western arts institutions are trying to make themselves known in so-called emerging markets, and where there is just enough art to justify the search for as-yet-untapped funding. 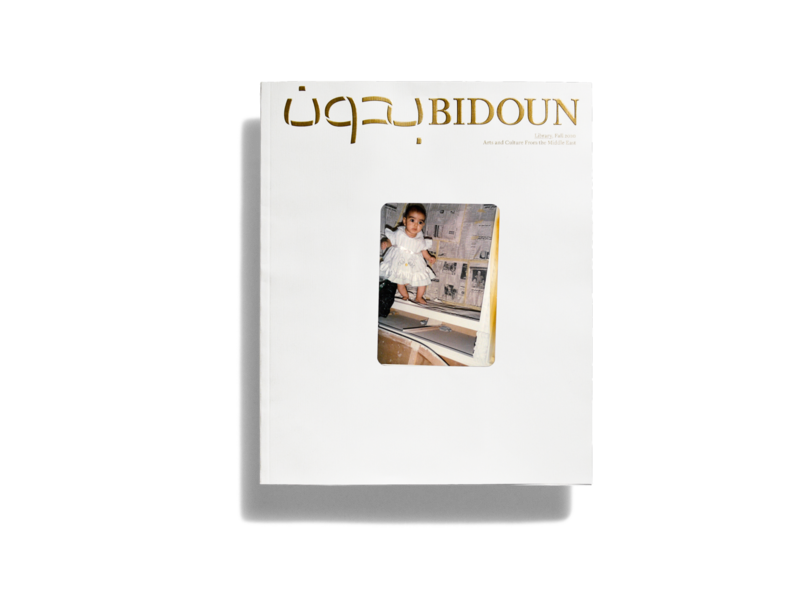 But maybe the point isn’t to answer that question yes or no, but to imagine the ways in which the underlying project might carry on and evolve — either as fantasy, in the case of “Birthright Palestine,” or as something more tangible and concrete.